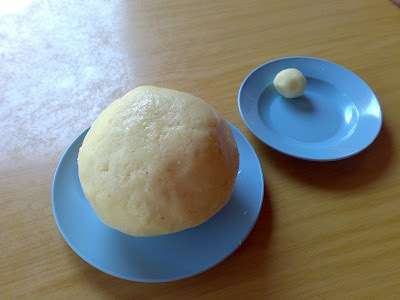 CAn you guess how many of the small chicken rice balls are used to make into the big one?? Just like yours - one big one small hahahahahhaha. wow..so big ?? ?last time i went to malacca ..why didnt saw it? ?